and Dr. Klaus Draeger, BMW AG's Board Member Purchasing and Supplier Network, at the contract manufacturer VDL Nedcar in Born, Netherlands. Mini will be the only automotive manufacturer that has series production vehicles built through a contract production in the Netherlands. The BMW Group stands to benefit from the favourable location of the VDL Nedcar site in terms of logistics and its proximity to the UK Mini production network with its locations in Oxford, Swindon and Hams Hall. At the same time, the BMW Group will be stepping up its presence in the Netherlands significantly, making the region an integral part of the Mini success story. "Contract production is a vital flexibility tool for us, and our experience gathered over the past ten years has been nothing but positive. Splitting production of the new Mini Hatch between Oxford and Born will give our global production network additional leeway. We appreciate the reliable, open and trustful cooperation with our Dutch partner, VDL Nedcar," stated Dr. Klaus Draeger. "The Mini brand is showing substantial growth. This is why we need additional, external production capacity on top of the capacity of the Mini plant in Oxford which stands at about 260,000 units per year in the medium term. VDL Nedcar has many years of experience in producing high quality vehicles, so the company is an ideal partner for us. At the same time, the UK production network is and will remain the heart of Mini production. Splitting production of the new Mini Hatch between Oxford and Born will give us greater flexibility for other models," said Harald Kruger. 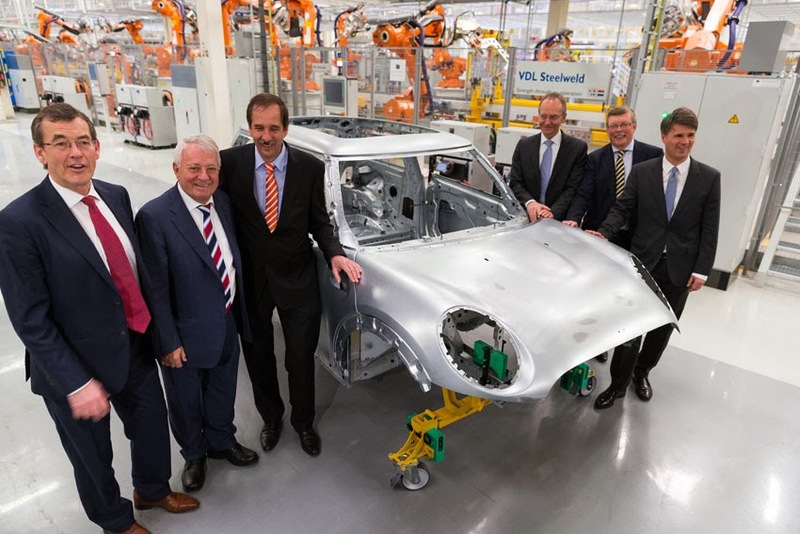 Preparations for the production launch of the new Mini hatch at the contract manufacturer VDL Nedcar are on target. A workforce of around 1,500 people will be responsible for building the new Mini from summer 2014. This year Mini production volume at VDL Nedcar is anticipated to already reach a five-digit range. The same demanding quality standards apply to Mini production in Oxford and Born. In order to ensure these quality standards, VDL Nedcar staff received in-depth training on the BMW Group production system at the BMW plants in Leipzig, Oxford and Regensburg.